On April 26-28, 2018 with the initiative of UGCC Association of Consecrated Life together with RCC in Ukraine a formation meeting of representatives from monastic orders was called at the retreat center of Metropolitan Andrey Sheptytsky which belongs to fathers-redemptorists. A meeting was led by Fr. Orest Demko, vice-rector of Episcopal institute of marriage and family pastoral care of the holy Joachim and Anna in Stryi Eparchy. The topic of the training dealt with relevant challenges concerning “death civilization”, which priests are facing these days, mainly in the field of family pastoral care. Precisely, it was about a moral evaluation of using contraception as well as different techniques of in vitro fertilization. While holding the meeting, the monks outlined danger which couples, who use contraception, might face. The participants analyzed spiritual evil of such techniques, pointing out deformation it brings to family identity, changing it from a cradle of life and love into an egoistic environment and hostility toward a gift of life. In conclusion a presented scientific material and an open discussion gave its participants an opportunity to restore and systematize acquired knowledge during the studying in a seminary and get acquainted with the newest researches in bioethics and moral theology. 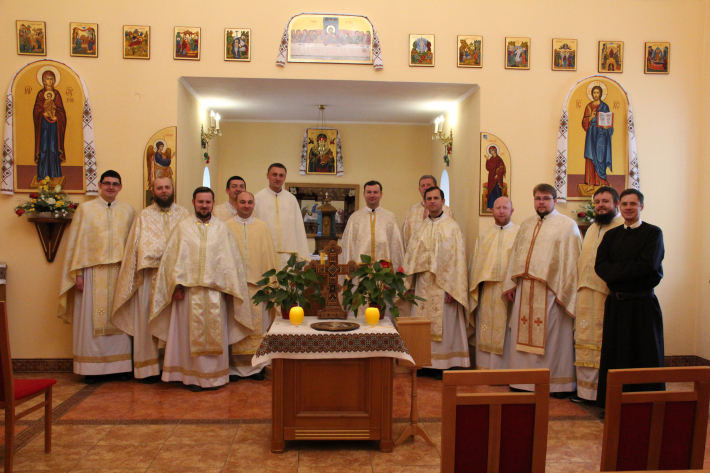 Priests, who have at least five years of experience in priesthood service were able to participate in this meeting. Organizers of this event gathered young priests for boosting their intellectual level and improving connections for more efficient proclaiming of Gospel.